Due to more or less popular demand I have decided to write something about the Hippocratic Oath. The Hippocratic Oath is a tradition. Technically, it's no longer a Hippocratic oath, but a Doctor's oath, since we don't really pray to Apollo any more, and it has been revised many many times. It holds, at least in this country, no legal value: my registration as a doctor is the legal bit. It is a sort of rite of passage into doctor-hood, if you want. It's a moral oath, and it is not the same as the various guidelines on ethics, good clinical practice and such. The original Hippocratic oath may or may not have been written by Hippocrates of Kos (450-370 BC), but it's one of the most well known documents from that time. For the first time, it required physicians to submit to a moral code of conduct. Also, for the first time, the curer and the killer were not the same person. 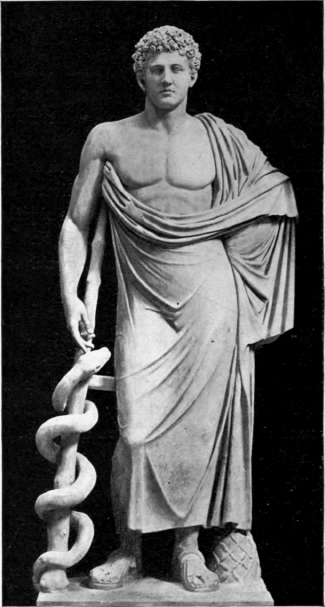 For those interested in the original version: http://en.wikipedia.org/wiki/Hippocratic_Oath; Actually, go see, it's pretty interesting. Even back then there was a problem with doctors sleeping with patients and others, apparently! Also weird: the oath is Greek. Yet, we all know the related 'primum non nocere'. Latin. In the Middle Ages, the learnings of the pragmatic Galenus of Pergamum became crucial. He was less interested in the moral grounds of the Hippocratic teachings. However, during the middle ages, it was common for physician's oaths to be sworn. It wasn't until the 1500's that the Hippocratic Oath made it's way to European universities. It has been translated into Arabic in the 900's, and has played a role in the Islamic world since. During the Renaissance Galenus' popularity decreased, whilst that of Hippocrates increased. It was another way for the Renaissance man to attempt to become perfect. (Or wait, was the Homo Universalis after that?) Of course, the stance taken on euthanasia and abortion in the Oath matched that of the time, based on Christian, Jewish or Islamic religion. (You'd say that discussions on these topics would get old after 2500 years!) Ironically, the text on no killing may not even have had anything to do with euthanasia, but with a frequent request to ancient physicians to kill somebody. Swearing the oath was introduced in Europe in the 1500's, of course, adjusted to the Christian faith. The oath has remained fairly unchanged here since 1878, until 2003. The oath is by no means a religious oath. It is a pledge to yourself, and to society. (Or, like the British like to say: The Public). It never was a religious oath; despite all the Greek deities. It was meant to make better physicians. You know, who have moral standards and don't sleep with patients. I think many patients think it means we become superhuman. In 2003 a revised Dutch physician's oath was written, based on a conference in Kos, Greece. In this, you have the option to mention the Almighty, or not. and that is what I meant with the traditional, religious oath, or the atheist one. zieken, gezondheid bevorderen en lijden verlichten. I swear/promise that I will, to the best of my abilities, perform the art of medicine to the benefit of my fellow human beings. I shall take care of the ill, promote health and alleviate suffering. I shall put the interest of the patient first and shall respect their views. I shall do no harm to the patient. I will listen and properly inform them. I shall keep secret that what has been confided to me. I shall promote the medical knowledge of myself and others. I admit the limits of my abilities. I shall be open and transparent, and I know my responsibilities towards society. I shall promote the availability and accessibility of health care. I shall not abuse my medical knowledge, not even under pressure. Patients must be able to trust doctors with their lives and health. * Nederlandse Artseneed, de Commissie Herziening Artseneed, 2009. Although it is easy to see the similarities in all of them, I like the Dutch Oath. To me it seemed crisp, clean and to the point. Also where it says "I shall promote the availability and accessibility of health care", in America they would have to add "without regard for profit"
While we're casting votes, I like the Declaration of Geneva. The medical school I attend actually has excerpts of it everywhere, I just didn't realize that that's where they were coming from. The translation is slightly different, but I always sort of (humbly) look up at the one outside of the library that reads, "I will practice my art with uprightness and honor." Let us know what you end up choosing (it's kind of cool that you get a choice)!